I make Pencil Cases :). What do you do with your fabric scraps? I love the PROCESS of sewing and I’m sure you understand what I mean! Something about creating something functional and pretty and being part of the entire process. But sometimes fitting a garment and alternating patterns part can leave me so disenchanted with sewing. It’s not that I hate it (all the time) but as with doing anything you are not very good at, a lot of frustration and tedium and uncertainty is part of the learning process. So often I have step away from the fitting process (especially this stupid halter dress) and go back to doing a super quick basic sewing project(s) to kind of reignite my passion for making stuff. Actually I think I have written about this before. 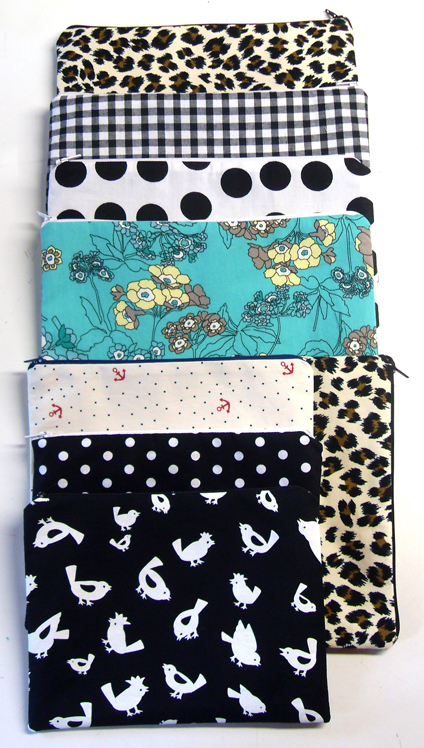 So I decided I wanted to use some pretty fabric scraps and I make a fair few pencil cases. I have stopped getting any shifts at my work. I used to work an average of 3 days a week at my job and this week I have zero shifts (they are cutting down on people to save money)… so selling these pencil cases on etsy may not be a bad idea! They are fully lined and I also added an iron-on interfacing to make them more study. Most of them are pretty large (25cm/over 9 inchs) but I made one really little one (pictured above). I am keeping it because it wasn’t perfectly straight/symmetrical. I now use it in my handbag for storing my loyalty cards, ipod, shopping lists and fabric samples. Yay! The bird fabric was from a store-bought skirt that I took apart and re-purposed as was the green floral :). I have two skirts made from the leopard print fabric I used here’s one. The gingham and the white fabric with black dots are left overs from dresses I made and the cute anchor fabric was leftover fabric from a top I made years ago. Why am I mentioning this stuff? 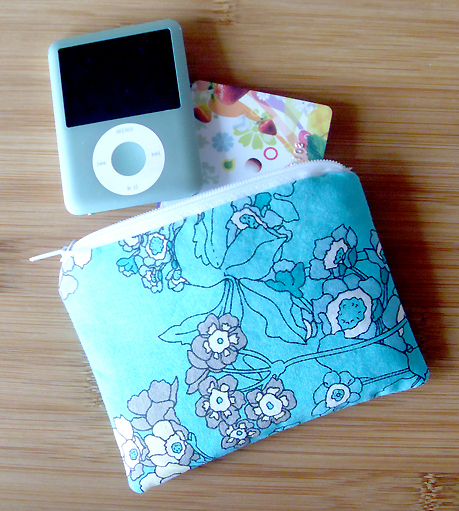 Lately I have been thinking a lot about how to use scraps and leftover fabric. Because I always over-buy when I fabric shop so I end up with a lot of scraps. Quilting has never appealed to me. I am by no means against it though! I have seen some gorgeous quilts on the Internet that are a lot more clean, modern and stylish than the image I have in my head of the quilts and “quilting”. Last week I donated 3 bags worth of my smaller scraps to a lady who quilts for charity. I felt sort of bad because I filled it with little pieces. didn’t know what she would deem usable or how small was too small for a usable scrap. What do you do with your fabric scraps?